This page shows the latest Horizon Pharma news and features for those working in and with pharma, biotech and healthcare. Abbott, Allergan, Celgene, Moderna, Pfizer and Takeda feature in this month's pharma deals round-up. ... Upfront $80m plus $830m in milestones [ex S. Korea]. 910. Raptor / Horizon Pharma. For an indepth analysis of these deals, read'Pharma deals during March 2014'. ... Vidara Therapeutics/. 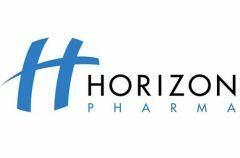 Horizon Pharma. Merger/ acquisition. Actimmune (interferon gamma-1b) for CGD and SMO (approved). Grey has served as CEO at numerous biopharma companies, including Auspex Pharma, SGZ Pharma and Trega Biosciences. ... Grey is currently on the boards of BioMarin Pharma, Horizon Pharma, Mirati Therapeutics and Selventa. Smoller joined Horizon as chief business officer as part of the form's acquisition of Sage Labs for $48m in September this year. ... 1996. Horizon is a UK-based biotech focused on genomics research and the development of personalised medicines. Dr Gilham's prior experience also includes senior positions at leading pharma companies, such as GlaxoSmithKline and Abbott Labs. ... from his guidance as Horizon continues to develop as a world-leading translational genomics organisation. ".